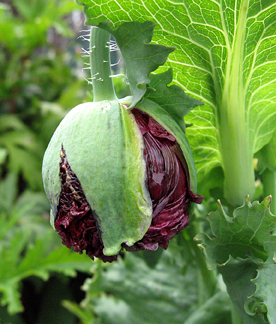 A DigtheDirt member, flush puppy, just posted a picture of a double poppy that looked like a peony... And now, because of the Internet, 10 minutes later I have my own shipment headed this way! 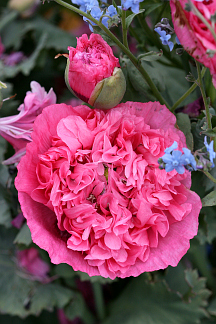 Can't grow a Peony? Try a Poppy! I used to live in Austin, Texas, and there was one plant that I really wanted to grow in my garden - peonies. Growing up in Maine and Massachusetts, I got used to this late Spring favorite that signaled summer days were here at last. Click here to see more at Annie's Web site! Mine are coming the last week of March! these are absolutely amazing and I want them all. that&#x27;s all I have to say. These are gorgeous, and I never knew that they existed before reading this contribution. 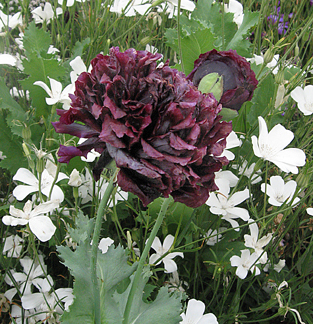 After spreading four pounds of seeds in two varieties of poppies (California &amp; Flanders), I thought I was done with poppies for this year; but, now I&#x27;m thinking that I&#x27;ve got to have the beautiful Papaver &#x27;Black Peony&#x27; Poppy for my black/burgundy garden...this cultivar is sure to be a captivating addition to the garden.